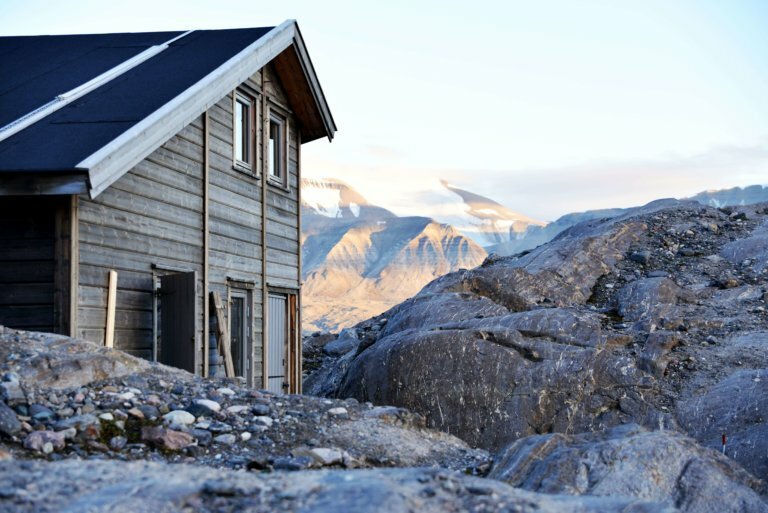 On the shore of the icy fjord, at the edge of a bright blue glacier, stands a hidden expedition lodge. 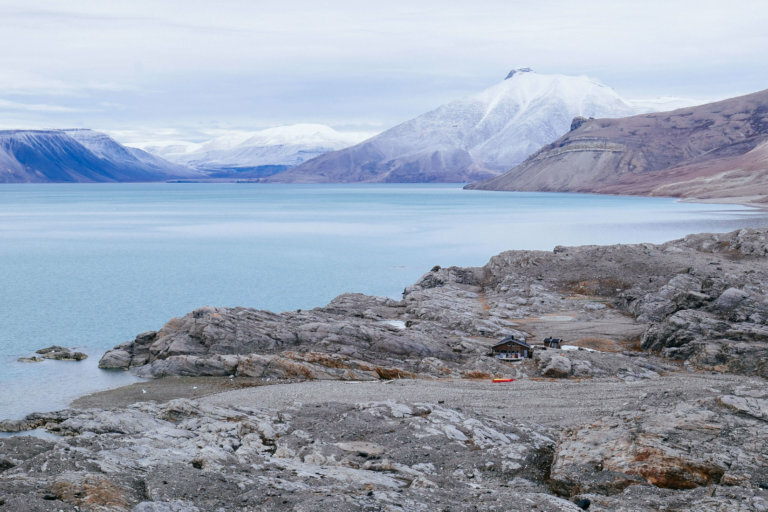 Before you even leave Longyearbyen, you are already almost as remote as it gets. 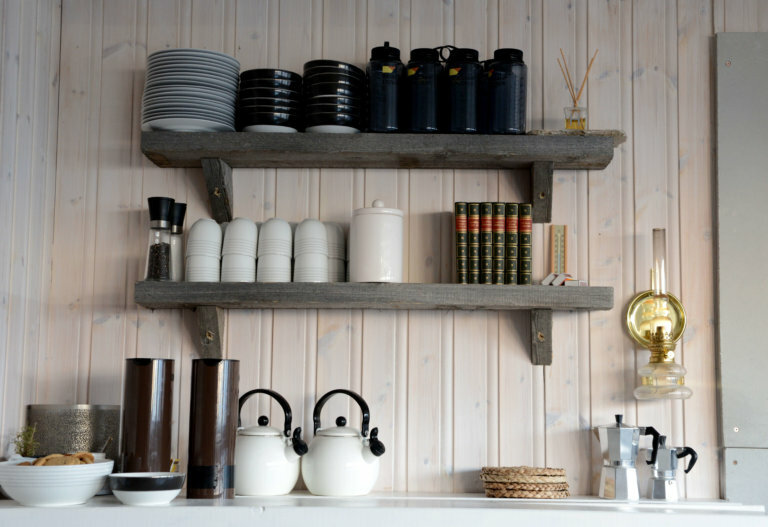 Nordenskiöld Lodge, however, takes the isolation from the modern world to another level. It’s the place you have to visit if you want to see the farthest, reach the truest north. 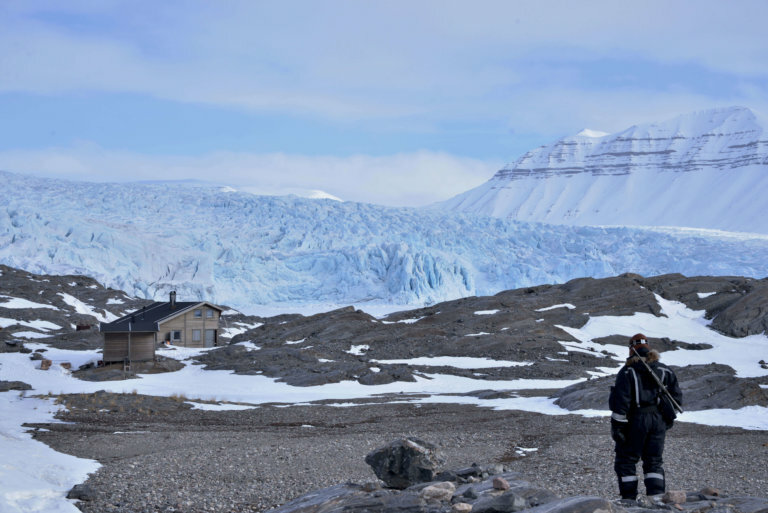 It’s the farthest you can reach by motorised vehicle in Spitsbergen, and the base for expeditions to the blue glacier. 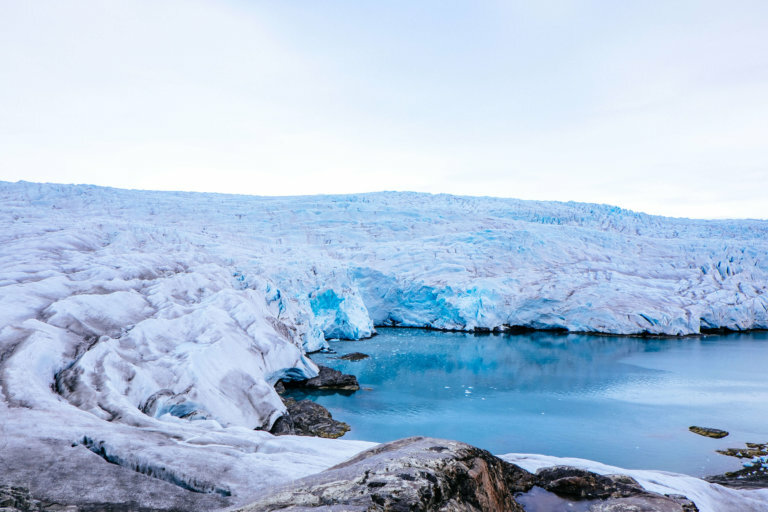 Just like the explorers decades ago, you’ll spend days climbing on the glacier and skiing around the fjord and snowy valleys. 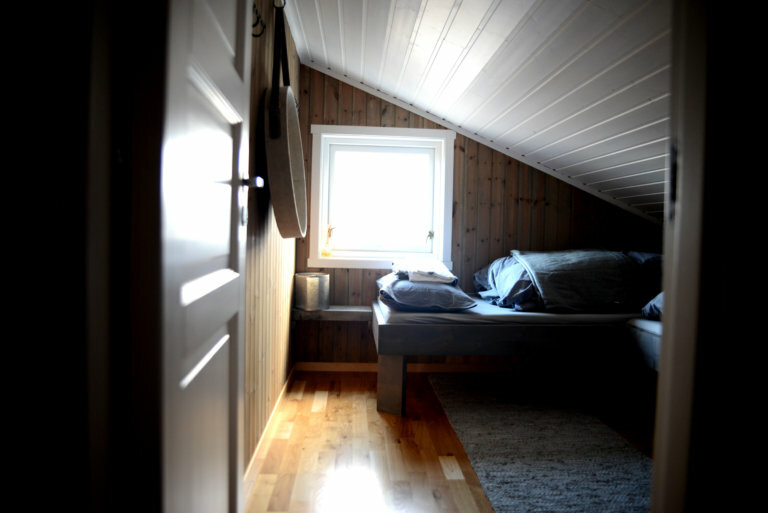 Warm yourself up in the sauna after a long day’s exploring. 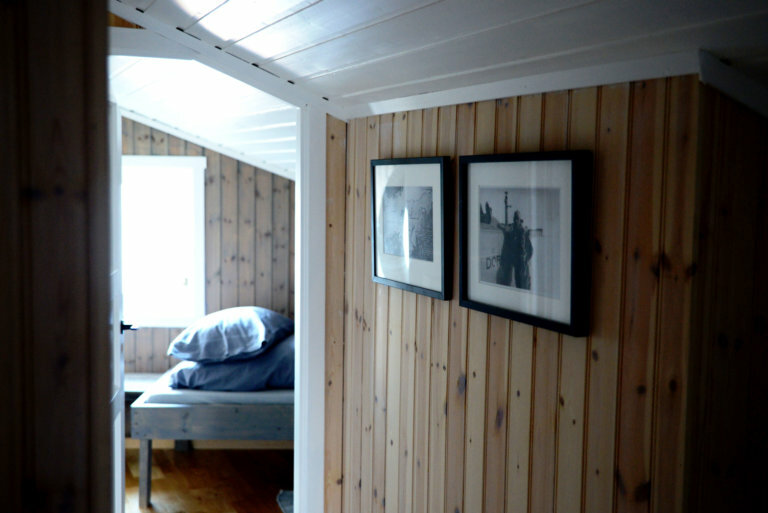 As the Arctic night surrounds the pine cabin you can lay your head on the soft pillow, wrap yourself in the warm blankets, and bask in the Arctic silence. 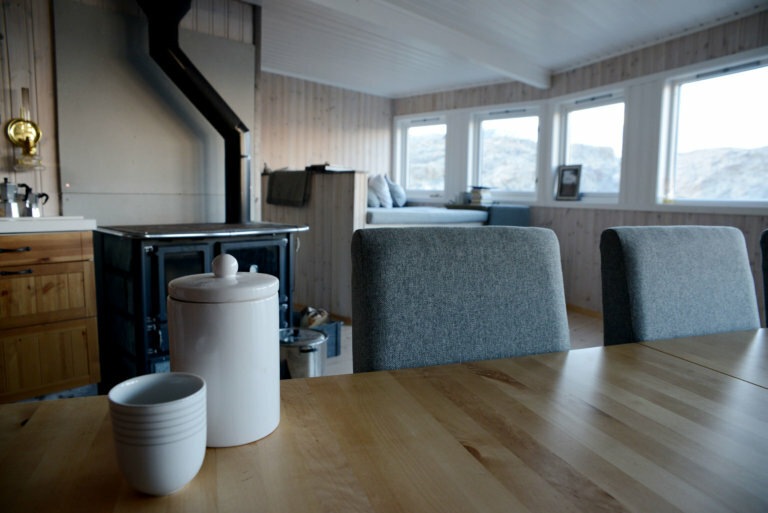 There are 5 bedrooms with fantastic Arctic views, 10 comfortable beds, indoor toilet, and a traditional wood sauna. During winter you can reach the lodge by dog sled or snowmobile. 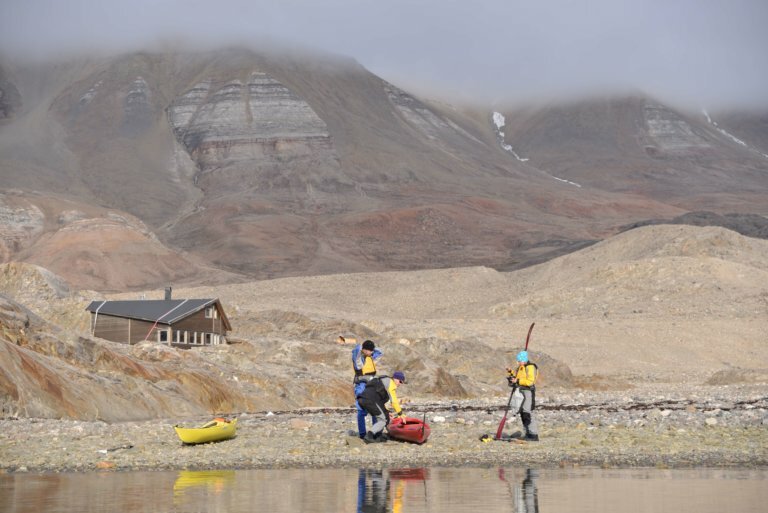 During summer, you can reach the cabin by boat from Longyearbyen. 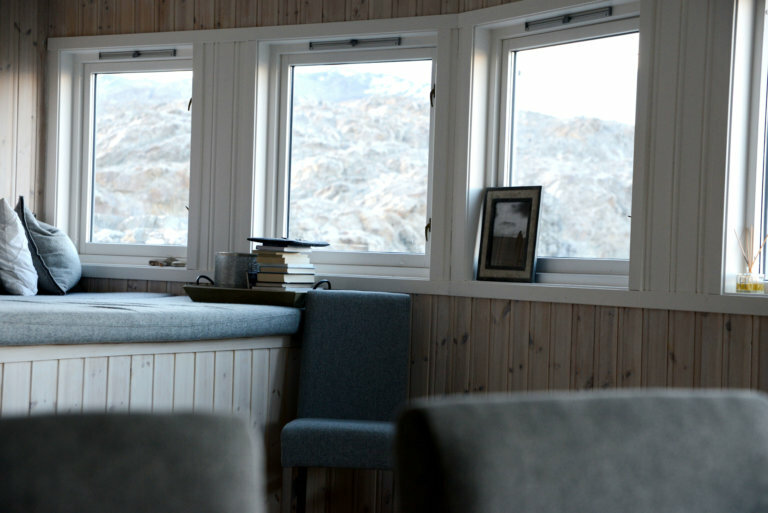 When you lift your head in the morning, the first thing you will see is the blissful view of the blue glacier. What could be better? Our expert Travel Designers have first-hand knowledge of all of our destinations and can create bespoke itineraries to suit your every taste and requirement whilst providing personal tips and advice for your once-in-a-lifetime holiday experience. 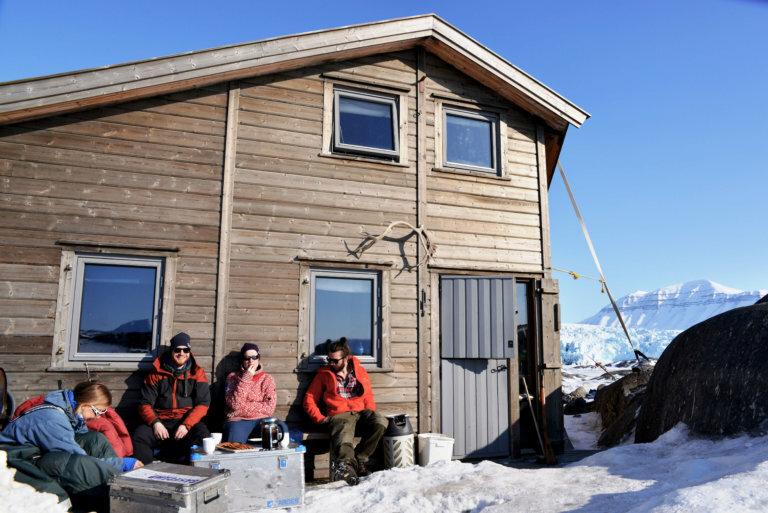 Whether you choose to learn all about the Sami lifestyle in the Arctic Circle or head into the rainforests of Costa Rica to see the native wildlife you are guaranteed to have a real, honest experience with hand-picked suppliers and guides. They will bring these experiences to life with genuine passion to fully immerse you in your chosen destination. Ensuring that we are looking after our planet is at the top of our priority list. Partnering with key players in conservation such as WDC (Whale and Dolphin Conservation) means that our holidays are always giving back too. Your Bucket List is empty. Our experienced and enthusiastic Travel Designers are waiting to create your very own itinerary. Whatever you are looking for, we can help.